Formed initially in 2013, The Bullet Club is quite possibly the greatest faction to ever step foot into the world of Professional Wrestling and is right there with the likes of the New World Order, D-Generation X, and The Ministry of Darkness. The group was initially organized by WWE's Finn Balor, who back then was known as Prince Devitt, and New Zealand native Bad Luck Fale, who till date remains an important part of The Biz Cliz. Throughout the years, The Bullet Club has had some of the hottest superstars join their ranks including the likes of AJ Styles, Kenny Omega, Finn Balor, Cody Rhodes, Adam Cole, Karl Anderson, Luke Gallows, The Young Bucks, Marty Scurll and several other notable names. 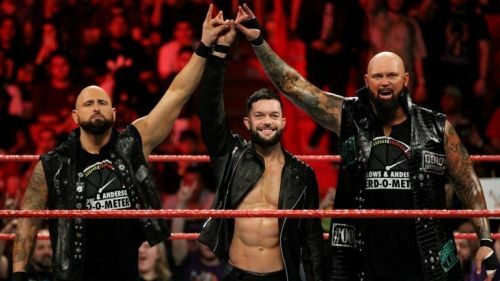 Despite the number of superstars who have joined and eventually left the faction and with the current incarnation of The Bullet Club, one thing is for sure that The BC always tends to remain as the hot topic of the industry. So much so, that throughout the years, even the world's biggest wrestling promotion, WWE has been seen namedropping The Bullet Club every now and then. And therefore, in this article, I'd rather like to give all my readers an in-depth analysis of every single subtle mention of The Bullet Club on WWE Television. Prior to the arrival of Bullet Club's mainstay heavyweight tag team, Karl Anderson and Luke Gallows to the WWE, former NXT commentator Tom Phillps was heard mentioning The Bullet Club on NXT TV. With former leader Finn Balor being the hottest NXT star at that point of time, Phillips, without any sort of hesitation, mentioned the fact that Balor's former group, The BC, has definitely taken the entire internet by storm and gave credits to Balor for being at the heart of the conversation. "Graves, I’ve gotta ask you: Finn Balor’s been at the heart of something that’s been taking the Internet by storm–The Bullet Club."